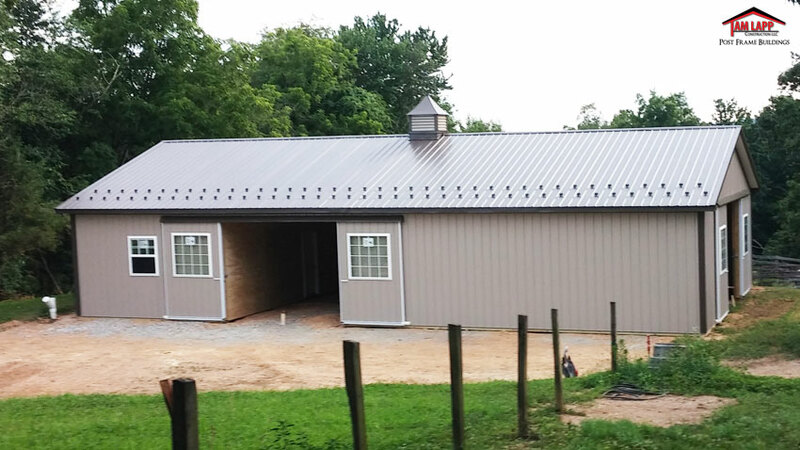 ​Roofing & Siding: 28 Gauge Steel. 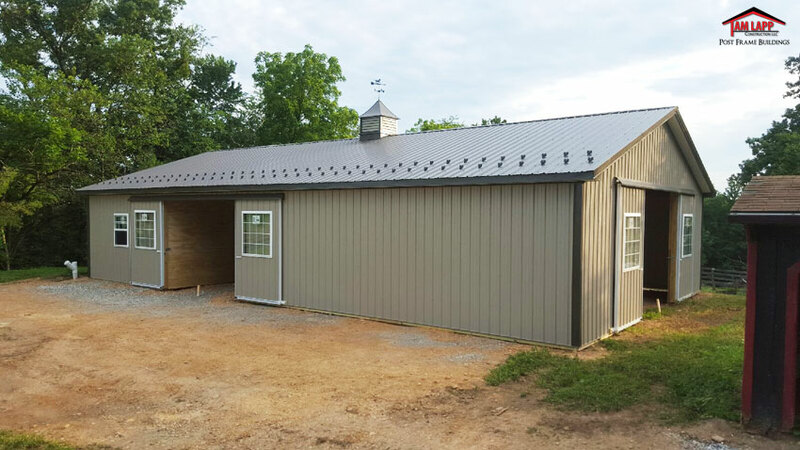 ​Roof Overhangs: Overhang boxed-in w/ White Vented Soffit w/ Steel Fascia Trim: 12” Sidewalls, 12” Gable Ends w/ Uni-Ridge Vent. ​Insulation: Double Bubble Roof Insulation. ​Windows: (4) 36″x44″ Insulated Vinyl w/Grids & Screen & (4) 4’x4’ Fixed w/ Grids In Below Sliding Doors. ​Sliding Doors: (1) 12’Wx9’H & (1) 12’Wx10’H One Way’s – (2) 4’x4’ Fixed Windows w/Grids In Both Doors. ​Interior: 36’W x 16’L x 10’H Partition Wall – ½”Plywood on (1) Side. ​Gutters: 5K Seamless Gutters w/ 2 Downspouts & Stainless Steel Snow guards on Both Sides of Roof. ​Floor: 36’x16’x4” Concrete Floor Area.